Everyone wants to feel safe in their own home. Anywhere and everywhere you go the last thing you want to worry about is someone breaking into your house. There are many great alarm systems out there, but what about protection for when you just want to let the nice breeze into your home? Most of us don’t think about protecting our home with security screens. 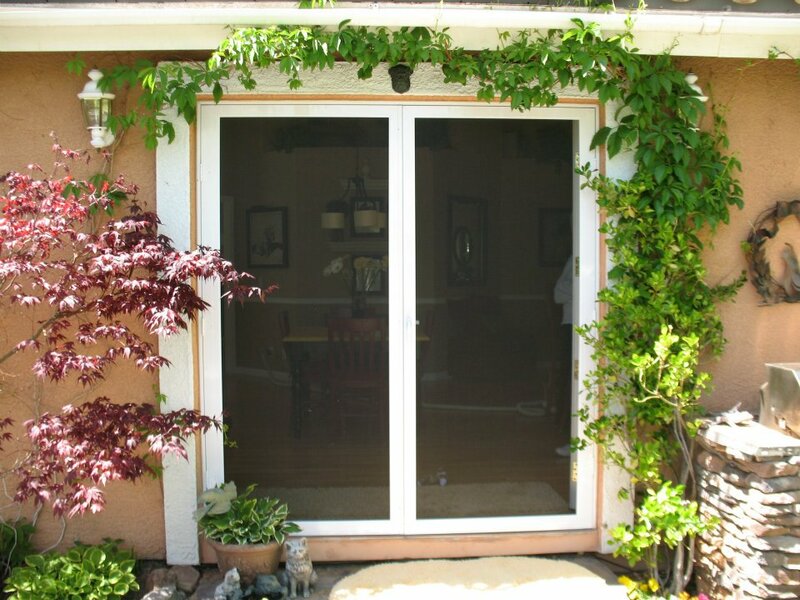 But the truth is that if someone wants to break into your home while you’re there and you have your sliding glass door open and only a screen door closed, someone can easily tear that material apart if they really want to. 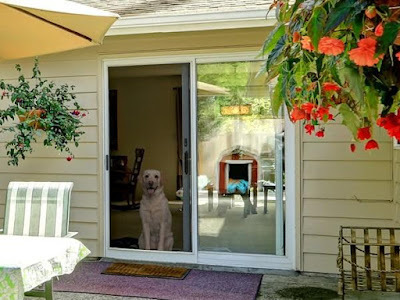 You should have the ability to have your sliding glass door open and not worry that someone can easily break into your home through your screen door. Here at Screenmobile we give you peace of mind. 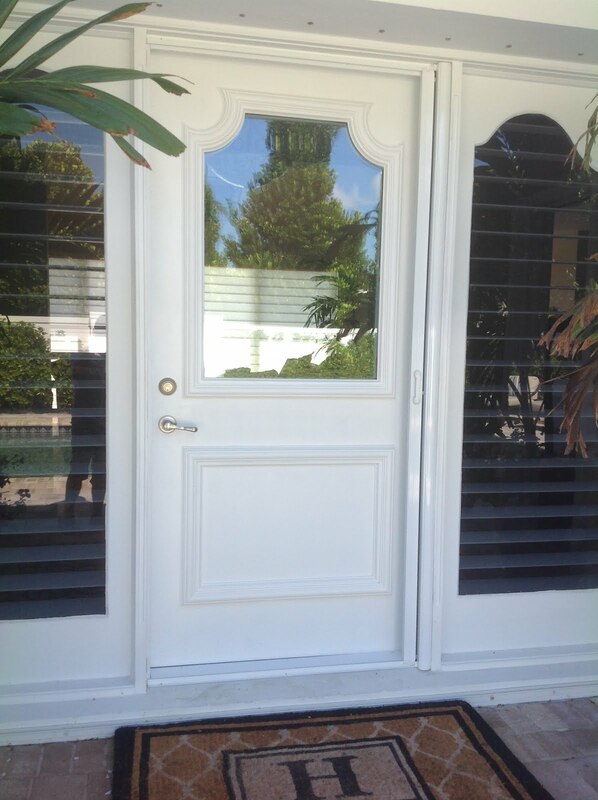 We offer a variety of security screen doors and windows. We can help secure your home and give you the peace of mind that you need. 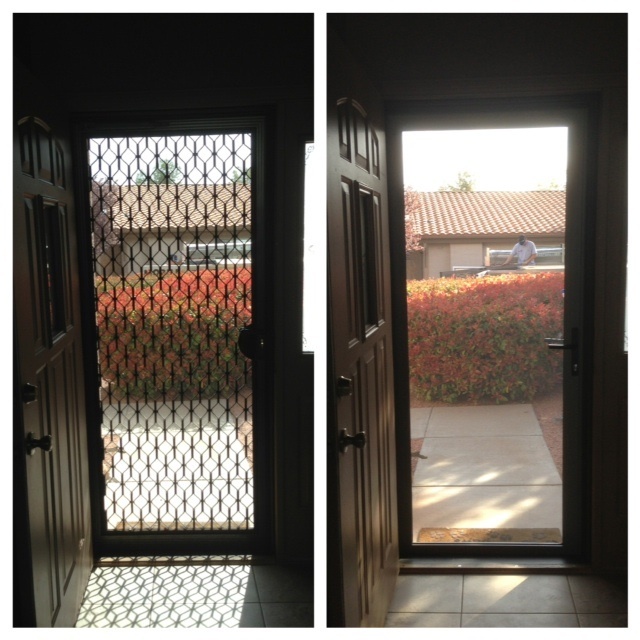 Whether you need a sliding security door or swinging security door, or even a security window screen, Screenmobile has it all. Security windows are great for those nice days where all you want is to let in the breeze. Having the ability to leave your windows open and not have to worry about anyone or anything coming into your home is great. Breeze in, bugs and burglars out. These screens are a great way of protecting your home. This would also be a good option if you have pets, as they would be unable to damage these screens. 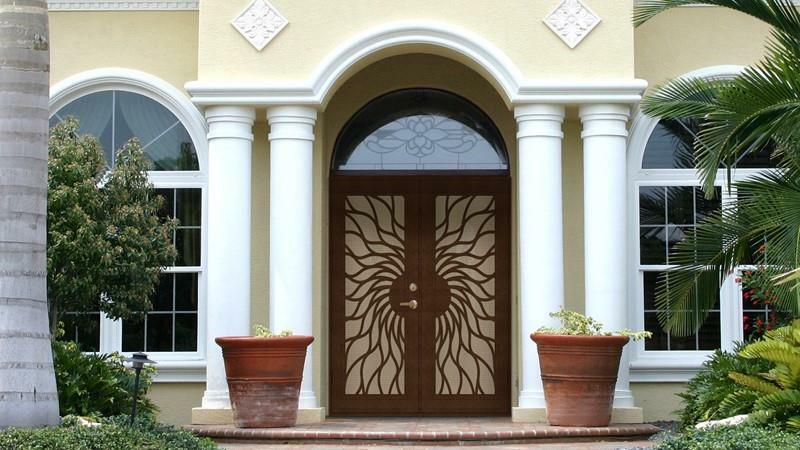 Our swinging security doors are also available with an optional design to add to the aesthetic. Screenmobile has a variety of designs and colors to choose from, click here to view. 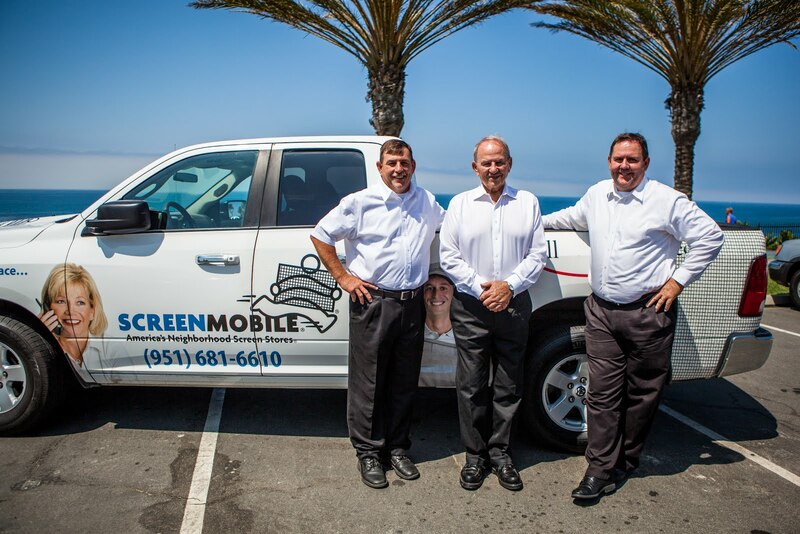 Contact your local Screenmobile location - www.screenmobile.com/locations for more information and a Free Estimate. You Call. We Screen.